The single thing you can do to increase traffic is to follow a system. And you have to do it by the numbers. What that means is that you have to employ a systematic approach. Just as in investing, successful investors follow a system and stick to it. They’re systematic. That’s their secret. As in investing, the secret to successful SEO is to follow a system. 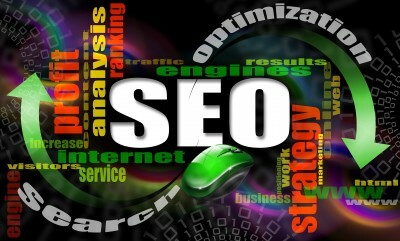 Are You Using Search Engine Optimization Effectively? Search engine optimization (SEO) refers to organic search. It’s free, and its purpose is to improve your website rankings on sites like Google! There’s also Yahoo!, Bing and a few other smaller ones. You can write epic content, but unless you’re found on the Internet, your content goes unnoticed. SEO done properly and regularly gives you an advantage over your competitors. A systematic approach allows you to address SEO basics. Then you can move on to more technical areas of search engine optimization. You should begin with an SEO audit. The results will tell you how you’re doing. You’ll get results for on-page SEO, off-page SEO as well as a number of other factors. Some of those are content marketing, social media marketing, and blogging. And don’t forget link building. Next, you look at how best to execute your strategy using your SEO audit results. Your strategy ensures the following: (1) all your SEO techniques and tactics work together; (2) they should be implemented methodically; (3) they should follow a building block approach. Listed here are some optimization prospects you can exploit. So for which search engine should you optimize your website? I know you know the answer. Forget that it’s common knowledge. Here’s a compelling statistic. Google owns about 67% of the search engine market. It’s the 800-pound gorilla of search. Optimize your site for Google, and you’ll definitely generate more leads and sales. As a certified SEO copywriter, I’ll help you increase leads, sales and profits. SEO content works harder than content that’s not optimized. If it’s searchable, you should optimize it. But… to maximize online advertising, you should employ free and paid search. You’ll benefit from Google AdWords because it’s fast, easy and cost-effective. With AdWords, you can get to the top spot much quicker than with regular SEO. The downside is that you have to pay for that position. But, it’s less expensive than advertising in the Yellow Pages. And you can control costs by turning your PPC campaign on/off. 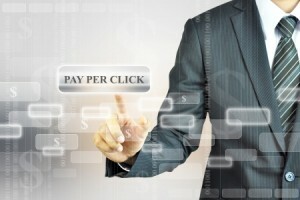 PPC also works well for local marketing. First, you’re competing against a smaller number of competitors. Second, AdWords allows you to target your market geographically. You can place your ads by region, by county, by city. It’s like working with a scalpel, rather than a meat cleaver. If you use Google AdWords, your PPC ad will show up on a number of search engines, not just Google. You’ll automatically show up on AOL and other websites. AdWords increases your exposure significantly. I write text, banner and display ads (Google AdWords). Because I know and understand your customer, I’ll use the keywords that your customers use. That’s why my ads will grab their attention. I’ll help you get more clicks by focusing on your customer’s needs. Finally, I offer one word of advice. As with SEO, PPC works best as part of a strategy. It should work in concert with your search engine optimization strategy. It’s a bit like chess, where you plan every move several steps ahead. Contact me today by filling out a short form, or email me at amilo@b2bcopywriting-alexmilo.com to find out more about SEO and/or PPC. See my article on Search Engine Marketing. Here’s more information on exploiting SEO: 6 Uncommon SEO Techniques to Boost Your Profits.